Listen to the 40th KMZU Basketball Dream Team broadcast that aired on Wednesday, March 20, 2019. Check out the full 2019 KMZU Dream Team, along with the Players and Coaches of the Year. Congratulations to this year’s honorees! 40 years of tradition. 40 years of excellence. 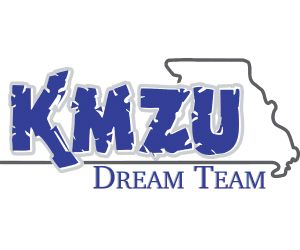 For 40 years KMZU has honored central Missouri’s high school basketball stand outs on the KMZU Basketball Dream Team. For 2019 KMZU recognizes 245 student athletes who have demonstrated exceptional performance on the court. Congratulations to the 40th Anniversary KMZU Basketball Dream Team. Here are the 5th Quarter Interviews from February 8. Here are the interviews from the Basketball 5th Quarter Show from January 25, 2019. Here are the interviews from the Basketball 5th Quarter Show from January 18, 2019.